Yo! We’re in full swing of the One Room Challenge over here and well…. like most DIY projects things don’t always go as planned. 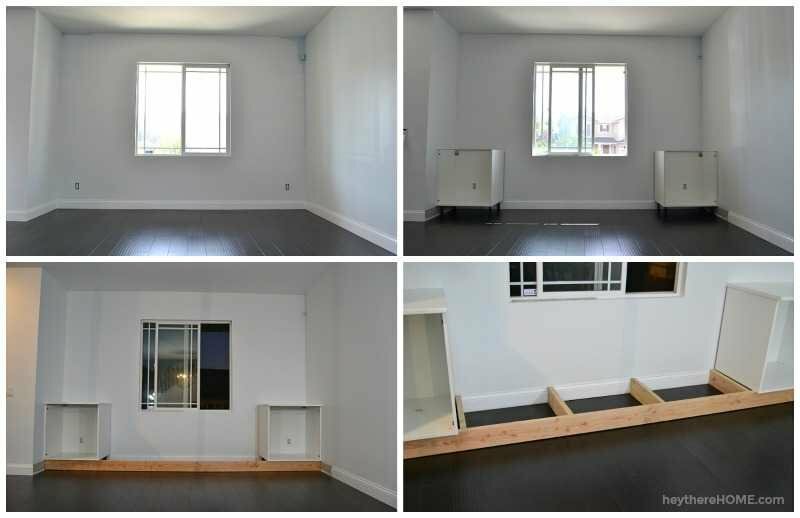 Last week I announced that we’re taking on the challenge of redoing one room in 6 weeks and shared my plan to change our formal living room into just a sitting area which will make room for phase 2, a much larger dining room. Yep, we’re just real people, redoing a real room, in real time for this series — and real it is. My hope is that you can see that progress in any space takes time and life with young kids still has to continue around all of the projects. Yes, it can be a lot to take on, but I so believe that it’s still worth doing cause in the end this room is going to work so much better for my family. But we’ve made progress and I’m still very excited about the plan for the space! Here’s what the front room looked like just a few days ago! Bu-bye floating shelves! Remember that the big project in here is the built-ins that we’re creating. 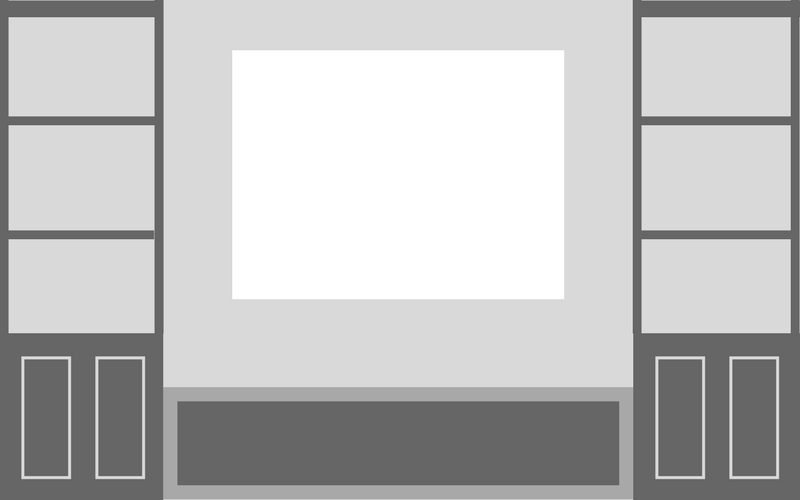 I think they’ll add so much character to this super boxy room. The built-ins are going to be part big box store cabinets below, and made from scratch shelving above. We’re also making the bench / window seat from scratch as well. So yesterday morning I built the 2 lower Ikea cabinets, we cut holes in the back of each cabinet to be able to access the outlets, we placed the cabinets, leveled them, cut the counter top for each one, and installed them. Then we had to break for after school adulting duties but got back at it after dinner and created the base structure for what will be the bench seat and attachment for our baseboard. We wrapped up at about nine o’clock, just in time for me to take on the dish washer, dishes, pack lunches for the next day, fold two loads of laundry, have a glass of wine, and attempt to watch a movie — which I didn’t make it through. All in a day’s work I guess! In case you missed my Insta stories, I uploaded them here so you can see in “real time” how all of this is happening and if you want to follow along in REAL real time, be sure to follow me over on Instagram for the raw footage! 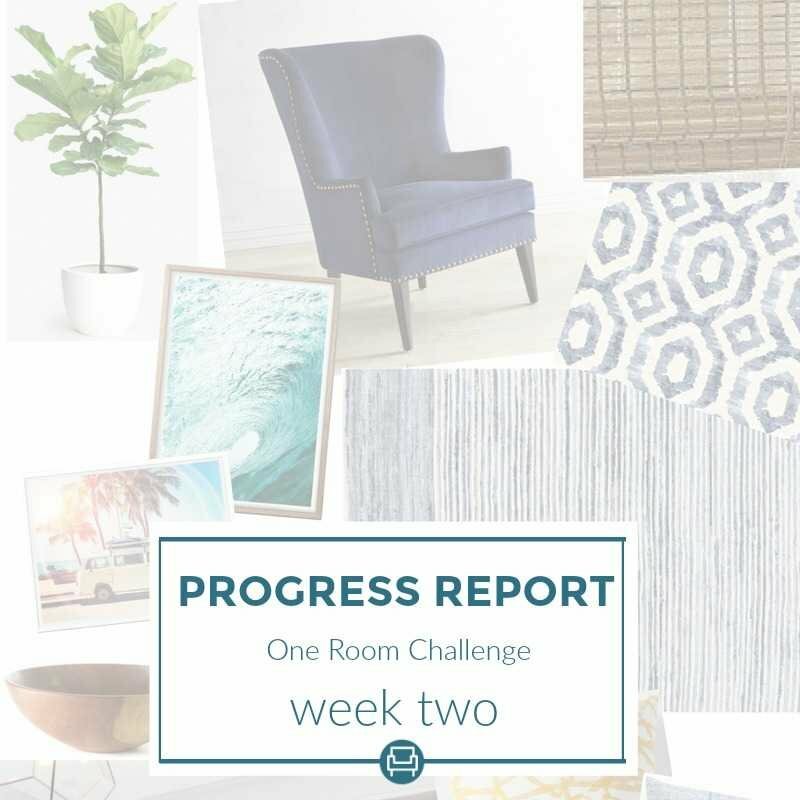 I’ll be back next week with another progress report but in the meantime, be sure to check out the other projects happening in the One Room Challenge too! Love the plan and your moodboard looks fantastic! looking forward to seeing your plan comes to life in 4 weeks!